Vintage Post Card View Of The Rutland Fairgrounds. 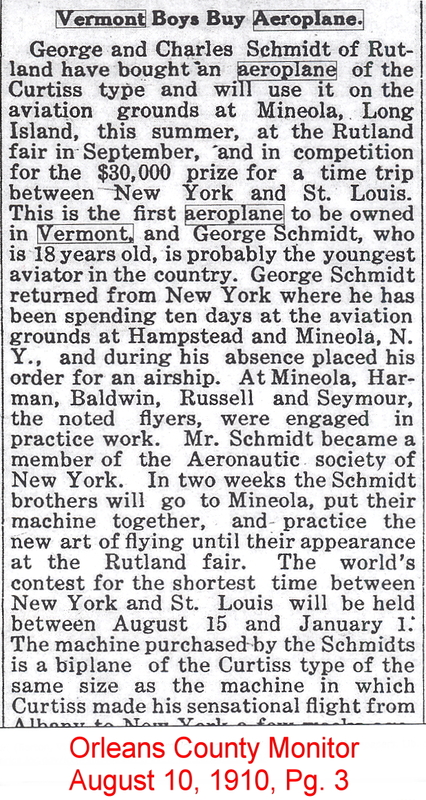 On September 2, 1913, early Vermont aviator George Schmidt, 23, of Rutland, took off at the Rutland Fairgrounds for an exhibition flight. With him was Assistant Municipal Court Judge J. Dryer Spellman, 22, also of Rutland. 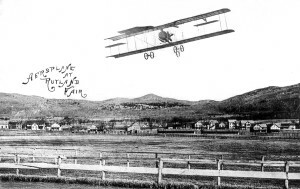 As the plane reached an altitude of about 500 feet the motor began to skip and miss-fire. 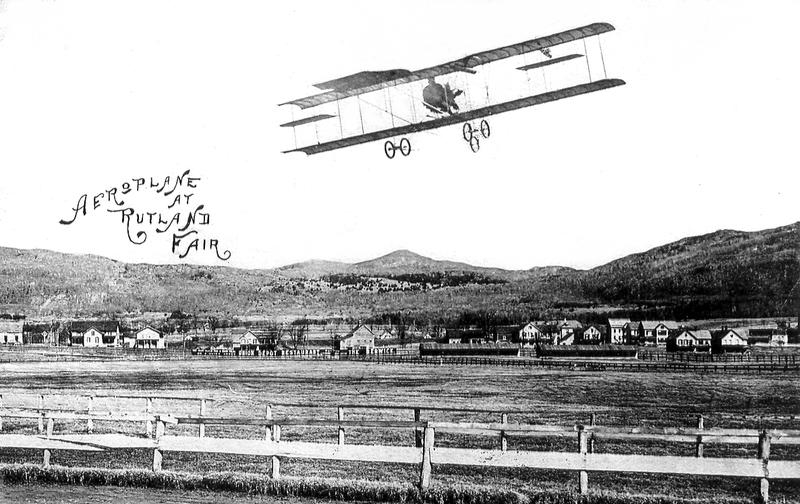 As Schmidt was returning to the open field of the fairgrounds the plane suddenly fell and crashed to the ground. Both pilot and passenger were trapped in the wreckage. George Schmidt had suffered a fractured skull, hip, and jaw, and died before he could be extricated. 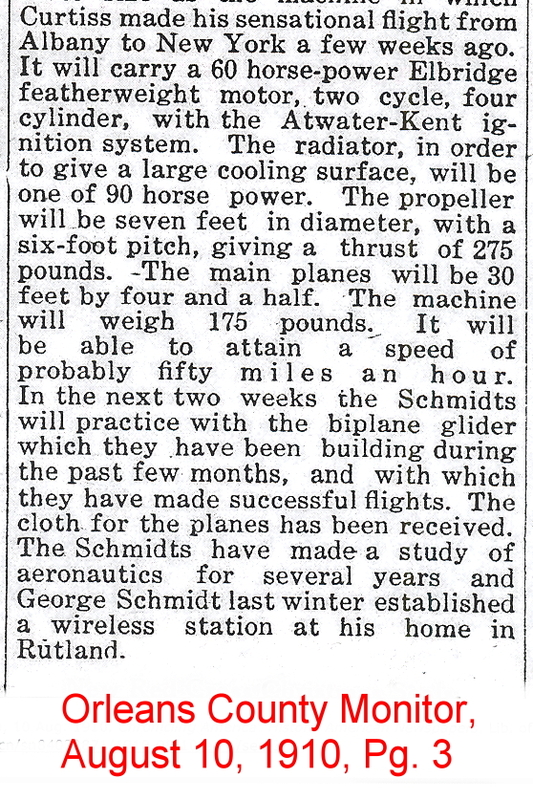 Spellman was pinned against the aircraft’s hot radiator, and although he suffered burns, he recovered from the ordeal. 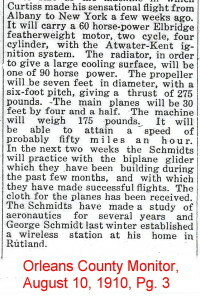 The following article appeared on page 3 of the Orleans County Monitor, August 10, 1910. 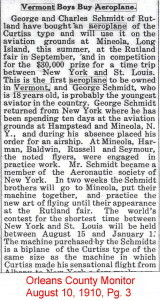 According to Charles Schmidt, George Schmidt made his first airplane flight from the Rutland fairgrounds on September 1, 1910. Today there is a memorial at the entrance fairgrounds honoring both brothers as the first active aviators in Vermont.